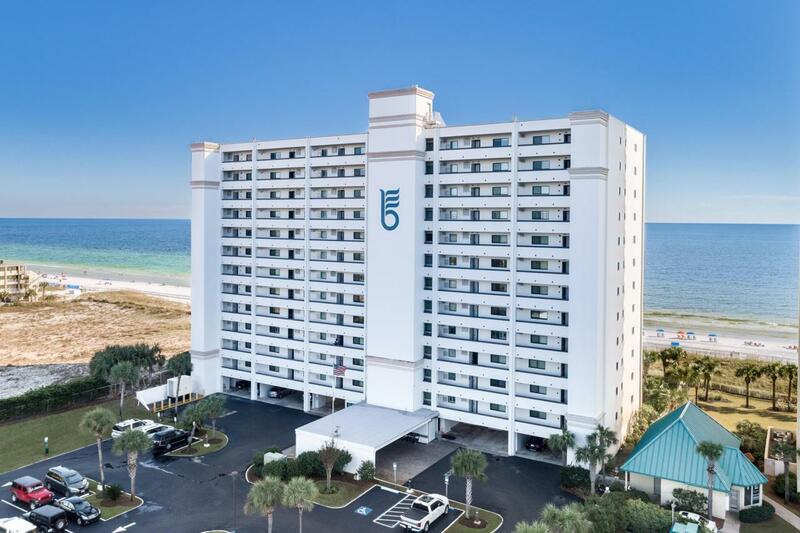 Fabulous beachfront condo in popular Breakers East, in the heart of Destin. Unit 302 is at the perfect location in the building, third floor, but fourth level. You will experience a real connection to the beach at this level. Condo is pristine clean, totally updated and fully furnished. You will enjoy this spacious 2BD/2BA with 1,453 square feet. Guest room large enough for two queen beds. Kitchen has custom cabinets, granite counter tops and stainless appliances. Full size walk-in laundry and pantry off the kitchen. Owner customized master bath to accommodate double vanity sinks, and a large tiled shower. Enjoy gulf views from kitchen, living/dining, and master bedroom. Access your 30 ft. balcony from living room or master bedroom. More...Condo amenities include a gulf-front swimming pool, 200 Ft. of deeded beach, tennis, and gated entry. Great location, across from water park. Near restaurants, harbor, fishing, and several championship golf courses. Buyer to verify all information important to buyer.